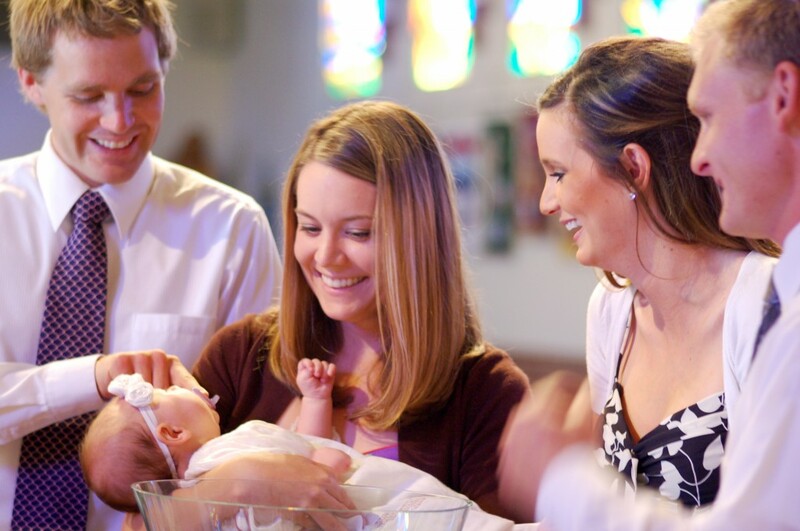 Our goddaughter Emmerson was baptized this weekend! 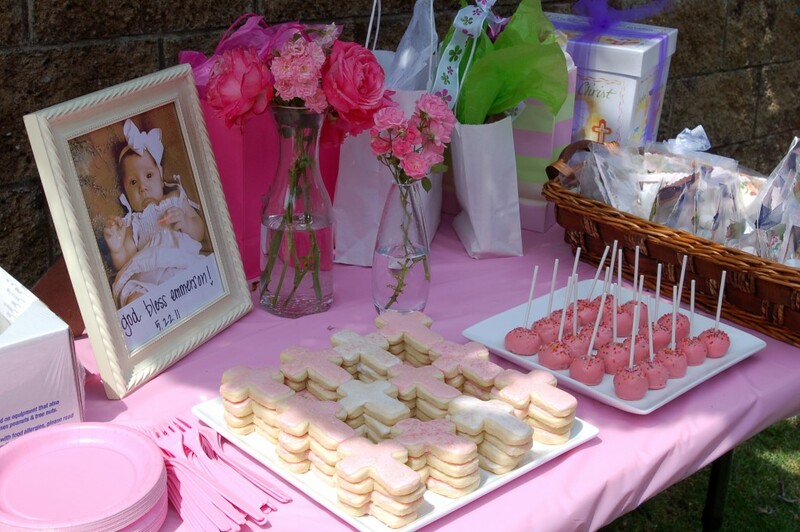 The baptism service was followed by a party at a nearby park — the perfect occasion to put several previous Seakettle projects to use! 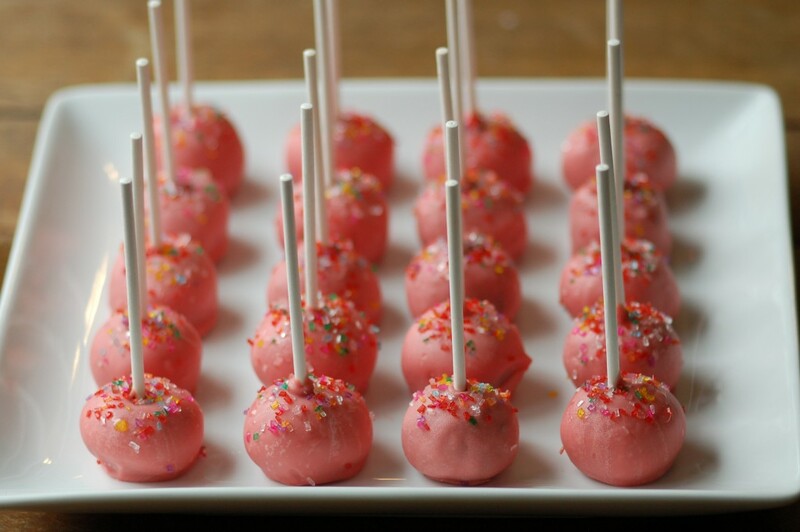 I made a batch of Oreo truffle pops (note for the future: they get a bit soft outside in warm weather!). 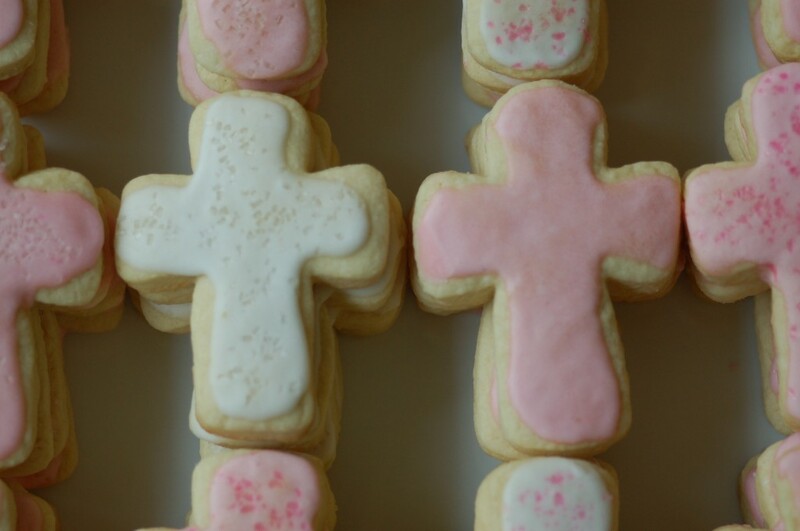 I used Hostess with the Mostess’ sugar cookie recipe and my mom’s icing recipe to make pink and white cross cookies. 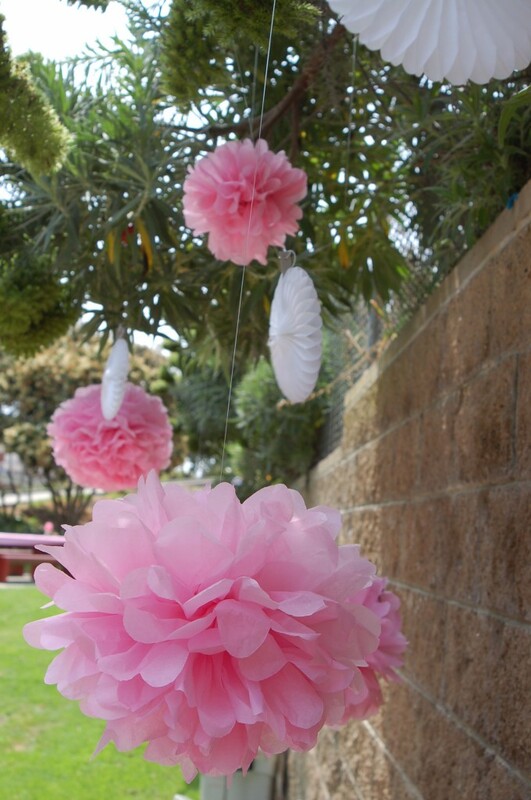 Emmerson’s mom, Jillian, and I made fluffy pink pom poms to hang over the cake/gift table, and they’ll soon hang over Emmerson’s crib! 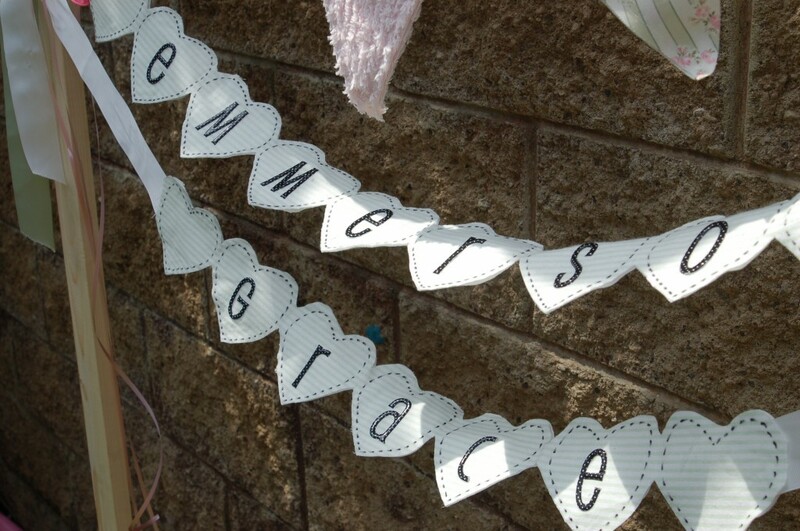 Jillian also made adorable fabric banners to hang at the party (and later in the nursery). 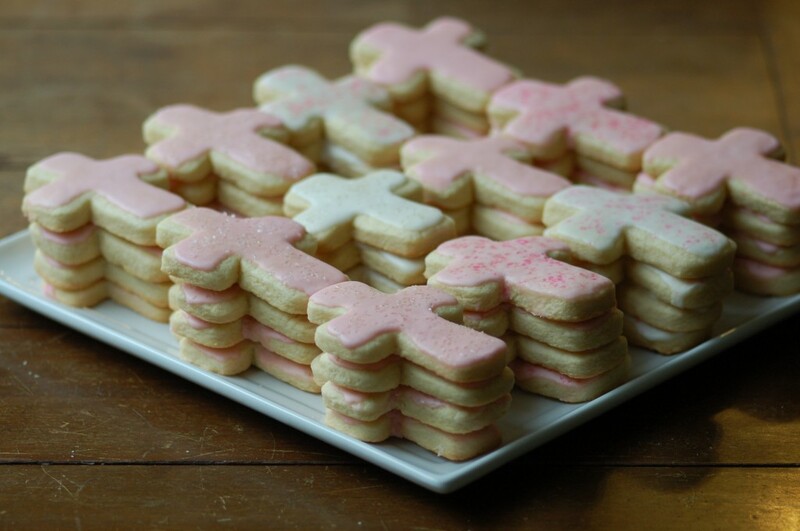 And though Greg and I didn’t exactly make our gift for Emmerson, I wanted to share the idea. We purchased a child-size rosary bracelet (still too big, but hopefully she’ll love it someday!) from a local church gift shop. 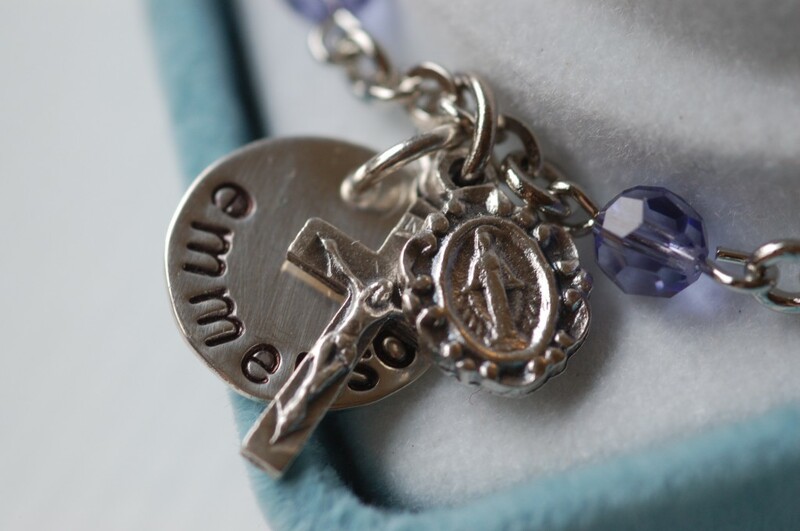 Then we ordered (from Etsy) a tiny stamped charm with her name on it! Greg expertly added the charm to the bracelet using a tutorial on jump rings. In keeping with the rosary idea, I made a card/CD cover with the words to the prayer “Hail, Holy Queen” on the front, and we included a favorite CD in a pocket inside. 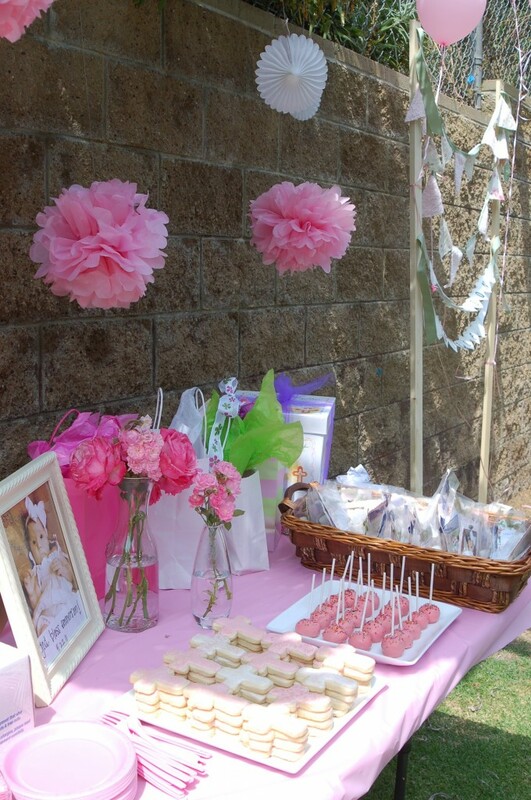 The table and decorations look beautiful. All of you did a great job on everything! so cute such a fun day! jen, you should put that type print on your etsy shop.